The word likely describes a lot of nomads living on the road who find that the experience of wandering is more important than having a specific destination in mind. For Laura Preston, the artist behind Vacilando Quilting Co., the word spoke to her, inspiring not only her lifestyle but also her art. Preston operates out of her tiny home on wheels—an Airstream she and her husband remodeled that operates as her mobile sewing studio. She didn’t set out to be a mobile maker. 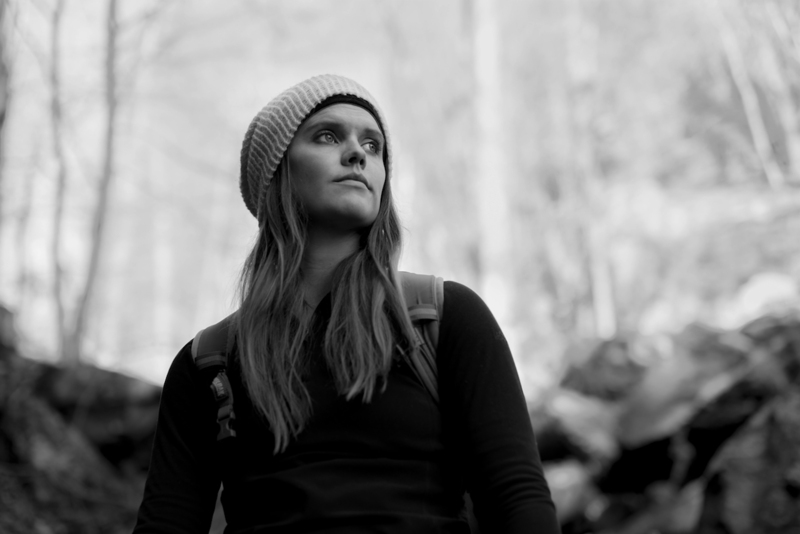 In fact, before embarking on the cross-country road trip that changed everything, Preston was in New York City, earning her degree in art history and painting. It wasn’t until a year-long road trip around the U.S. that she tried her hand at textiles. 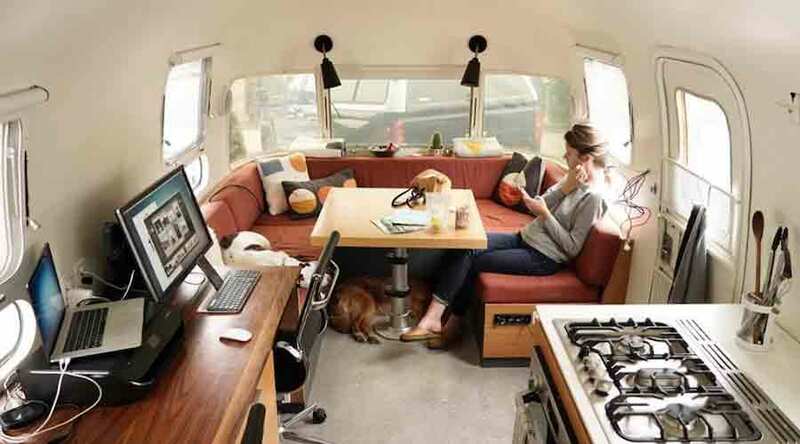 On any given day she can be found working form her Airstream designing and making quilts, or just taking in her environment for inspiration, be it the freedom of the road or the awe of nature. She recently took a moment out of what is a busy production and travel schedule to answer some questions about her life on the road and the story behind her craft. How did you get started on the path to making textiles and quilts? Why did you choose to travel in an Airstream? When did you know textiles/quilting was the medium for you? When and why did you decide to take your craft mobile? Do you craft from any specific, set locations if you’re not traveling? What about mobile life/road life inspires your work? How has your craft changed over time as a result of your travels? Where do you see your craft and your travels in the future? What words of advice do you have for artists looking to take their work on wheels?